Learning to drive and getting a driver’s license is almost a right of passage in the US. However, with these new-found freedoms come newfound responsibilities. Car insurance is one example of the tremendous responsibilities that come with learning to drive. Car insurance can be scary for new and young drivers. After all, most new and young drivers haven’t had to interact with insurance companies before. The process can be mystifying and confusing. That’s why we put together this article and FAQ. We’ll help you understand how driver’s insurance works for new and young drivers, including how rates are set. Then we’ll cover some of the most common discounts for car insurance and ways you can reduce your car insurance rate. Finally, we’ve got a helpful FAQ designed to answer some of the most common questions about car insurance for new and young drivers. Use this information to be informed about how car insurance works for this group, and to find the best deal on insurance so you can stay covered for less. How Much Is Car Insurance for a New Driver? Does a Permit Driver Need Insurance? Can You Get Car Insurance Without a Driver’s License? Do You Need Insurance to Get a Driver’s License? When to Add New Driver to Insurance Policy? How Does Car Insurance Work for New Drivers? How Much Is Average Insurance for New Drivers? Do Teenage Drivers have to be Insured? How Much Is Car Insurance for Young Female Drivers? Why Is Car Insurance So Expensive for New Drivers? Why are Insurance Rates Higher for Drivers Under 25? How Much will My Insurance Increase with a Teenage Driver? Does Learner Driver Insurance Count Towards No Claims? Are Learner Drivers Covered by Insurance? 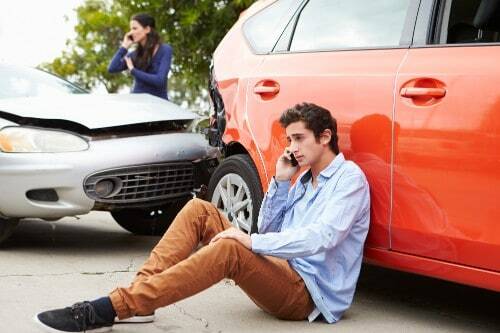 When Do You Add a Teenage Driver to Insurance? Can a Learner Driver Drive Without Insurance? Can a Learner Driver be Insured on their Own Car? Do I Need to Add Student Driver to Insurance? Does Adding a Named Driver Increase Insurance? How to Afford Car Insurance for a Young Driver? Which Insurance Company Is Best for Young Drivers? How to Reduce Car Insurance for Young Drivers? What Is the Best Insurance for First Time Drivers? What the Best Insurance Group for Young Drivers? Does Adding a Named Driver Make Insurance Cheaper? Are Classic Cars Cheaper to Insure for Young Drivers? How to Make Car Insurance Cheaper for Young Drivers? Does Drivers Ed Help Lower Insurance? How to Insure Teenage Drivers Cheap? How Much Do You Save on Insurance with Drivers Ed? How to Lower Car Insurance Premiums for Young Drivers? What Is an Excluded Driver on an Insurance Policy? Where to Get Car Insurance for High-Risk Drivers? Can You be the Main Driver on Two Insurance Policies? Does Each Driver Need Insurance? Do You have to List All Drivers on Insurance? What Is a Deferred Driver on an Auto Insurance? Does Car Insurance Cover Unlicensed Drivers? What Happens if an Insured Driver Hits an Uninsured Driver? How Many Named Drivers Can You have on Car Insurance? It can be difficult to understand how insurance works and why it’s so expensive for new and young drivers. This section covers how insurance works and how insurance rates are set. Use this information to become an informed consumer of car insurance products. Insurance is a product where you pay in advance to cover the bad things that happen in life. With car insurance, that means you’re protected from liability for damages to people and property if you have an accident. Depending on your policy, you may also get a payment to replace your car or repair any damage to it, regardless of who’s at fault. There are two main costs for an insurance policy. A premium and a deductible. The premium is the cost that you pay every month. The deductible is what you pay if you’re in an accident and need to pay for repairs or damages. The deductible is only paid once per year. Once you’ve paid your whole deductible, repairs and damages are covered by the insurance company up to your insurance limit. Insurance limits are another important thing to understand. Every state requires that drivers have a minimum amount of liability insurance. The limit is the maximum an insurance company will pay to cover damages to persons or properties. If you’re not dealing with a well-known insurance company, then you need to ensure that your coverage meets your state’s particular minimums. Now that you understand how insurance works, you need to understand how insurance rates are set. This will help you understand how to get the right insurance policy without paying too much. Insurance is a risk-management business. That means they use a huge variety of factors to guess how likely it is that the insurance company will have to pay out money on your policy. The more likely it is they’ll have to pay out, the higher the rates they’ll charge to justify their risk. The goal of an insurance company is to keep rates high enough that they’ll be profitable, but low enough that they can compete with other companies. As you can see, that’s a lot of factors for companies to consider when determining the cost of insurance. The type of car is important because it helps determine the potential for an accident and the costs should there be an accident. A faster, lighter, more expensive car will cost more to insure than a slower, safer car. Driving history is important for two reasons. First, the better someone’s driving history, the better the odds they don’t have an accident that requires the insurance company to pay out. Second, the longer someone’s driving history is, the more accurate the insurance company’s predictions can be. That’s one of the reasons why car insurance costs so much for new and young drivers. Their driving history is limited or non-existent. That means insurance companies assume the worst until they’re proven wrong. The age of the driver is also important. Younger drivers are more likely to take risks and drive recklessly. That means they’re more likely to be in an accident. Also, younger drivers don’t have as much experience. That also means the odds of an accident and an insurance payout go up. The final three items on our list also play a large role in insurance rates. Certain areas are more prone to accidents and auto thefts, which cause higher rates. Some states have higher limits for their legal insurance requirement. That means the insurance company is exposed to more risk, so they’ll charge higher rates. Finally, the type of insurance also matters. Liability-only insurance is cheaper because it doesn’t cover the cost of repairs to your car. Comprehensive insurance covers the cost of damages to your car, but also costs more because the insurance company is more likely to be on the hook for damages in an accident. They’ll also have to pay out more in an accident. While car insurance for new and young drivers can get pricey, that doesn’t mean there aren’t ways to lower costs. Remember, insurance companies are all about playing the statistical odds and using those odds to set prices. They also want to stay competitive with other insurance companies. A good grades discount is just what it sounds like – you can get lower premiums on your car insurance if your report card shows good grades. This is because car insurance companies have realized that students that get good grades are statistically likely to be in an accident. Speaking of which – many insurance companies will give new and young drivers a rate discount each year that they don’t have an accident or file an insurance claim. These discounts can add up and keep your insurance premiums low. You can also get a substantial discount on your premiums if you take a driver’s ed or defensive driving course that’s certified by your insurance company or state. These courses help new and young drivers learn how to drive safely. Drivers that go through these courses are statistically less likely to file an insurance claim, so insurance companies will give you a big discount on them. Finally, lots of insurance companies are adopting programs that monitor how you drive. They plug a device into your car that records how fast you accelerate, brake, and the speeds at which you drive. If you drive safely, accelerating and braking slowly and avoiding high speeds, then they’ll reduce your insurance premiums. Now that you have a better idea of how driver’s insurance works and the different ways you can get discounts for new and young drivers, we’ll answer some of the questions you might have. Use this FAQ to get a better understanding of car insurance and to help you find the right car insurance policy for yourself or your new and young drivers. This section covers general questions about car insurance and insurance for new and young drivers. Use this section to get a better understanding of how insurance works for these groups so you can move on to more advanced questions. Driver’s insurance protects you from liability in case of an accident. It covers the cost of damages to persons and property. Each state has their own minimum limit driver’s insurance can cover. That depends on a variety of factors, the state you live in, the type of car they’re driving, and more. The average annual rate quoted for a teen driver is around $2,200. That depends on what you’re looking for and where you live. State Farm has some of the best discounts for good grades, while Nationwide has some of the best policy perks for these drivers. Use an insurance comparison and shopping tool to help you check out rates in your state. Drivers with a learner’s permit need some kind of insurance. However, in most cases their parent’s insurance or driving instructor’s insurance will cover them. You should check your policy and state laws for more information. Sometimes, but not usually. Insurance companies use your driver’s license number to check several things. You’re better off getting the insurance in the primary driver’s name and just paying the bill. Not usually. In fact, many people get a driver’s license as a form of state ID and never actually drive. However, you should check with the laws in your state to be sure that’s the case. You should add a new driver to your policy immediately when they get their license. This will ensure you’re covered should an accident happen. You should also add a learner’s permit driver if your policy doesn’t cover them. Car insurance for new drivers is usually a bit expensive. That’s because new drivers don’t benefit from a driving and payment history that more experienced drivers get. Most new drivers are insured under their parent’s policy as secondary drivers of a car. That depends on many different elements, like what state you live in, what kind of car you drive, your age, your gender, and so on. However, nationally, the average cost for insurance for new drivers is about $2,200 per year, or just under $200 per month. Yes, all drivers need at least some kind of insurance. However, you should check your insurance policy. Your teenage driver may already be covered under your policy. If not, it should be easy (and cheaper) to name them as a secondary driver on your car. The average rate for a young female driver is very much in line with the average rate of a young male driver. However, rates for females will go down faster, assuming they don’t have an accident of get tickets. The average cost is about $2,200 per year. Sometimes, depending on the car insurance policy. Usually policies will cover occasional use for other drivers. However, the way these policies work will be different in different cases, so you should always check. Car insurance rates are so expensive for new drivers because new drivers are more likely to be in accidents. That means insurance companies are more likely to have to pay out on policies for new drivers. Insurance rates are higher for drivers under 25 because, statistically, these drivers are more likely to file insurance claims and be at-fault in accidents. That means insurance companies charge more to cover the risk. The average monthly cost increase for adding a teen driver is around $400. However, that depends on if they’re driving their own car, listed as a secondary driver, the type of car they’re driving, and what type of insurance you have. This section answers questions about car insurance and learning to drive. Use it to make sure you’re covered and stay legal. Sometimes, you’ll need to check with your insurance company to get the specific details about their no claims policy. Sometimes. Learner drivers will usually be covered under the insurance of the person instructing them. However, you should always double check that this is part of your policy before you assume it is. You should add a teenage driver to your insurance as soon as they get their license. That way you can be sure you’re protected from liability if they get into an accident. A learner driver must be covered by some kind of insurance policy. They’ll usually be covered by the person who is instructing them, but each policy is different, so you’ll have to check. Yes, they can. However, this will be much more expensive than if a learner driver is added as a secondary driver to your car insurance rather than insuring the car in their name. Maybe. You’ll need to check with your insurance policy and/or company to see what their policies are about covering student drivers under your insurance. This section deals with questions about how to lower the cost of insurance for new and young drivers. Use it to get the best deal on auto insurance for you. The cheapest car insurance for teenage drivers is to add them as occasional drivers to the cars where you are the primary driver. This will lower the rate and allow them to benefit from your driving record. Car insurance starts to go down around age 20. However, you may not see a substantial drop-off until the driver is at least 24 years old. Sometimes yes, sometimes no. That depends on the named driver’s driving history and record. You’ll need to check with your insurance company to get specific rate quotes for adding a specific named driver. The best way to get cheap insurance for young drivers is to take advantage of the various discount programs that some insurance companies offer. Things like good grades discounts can save a lot of money on insurance premiums. The best way to afford car insurance for a young driver is to find ways to lower the cost of the premium. Good grade discounts and adding them as a secondary driver to your policy are all excellent ways of lowering their monthly premiums. The average cost to insure a teenage driver is around $2,200 per year. However, this can change depending on the state you live in, the type of car, and other factors. The best insurance company for young drivers depends what you are looking for. The company with the best good grades discounts is State Farm, while Nationwide has some of the best perks for young drivers. Progressive has a driver monitoring device that can lower insurance costs for good and safe driving. The cheapest cars to ensure for new drivers are small, safe sedans. Things like the Honda Civic and Honda Accord are great examples. These cars are very safe, both for the driver and people around them. The cars also aren’t extremely expensive, and so they’ll cost less to insure. The best way to reduce the cost of insurance for young drivers is to take advantage of discount programs. Driver’s ed can be a great way to lower the cost of premiums while reducing the risk the young driver gets into an accident. The best insurance for first time drivers depends what you’re looking for in an insurance policy. Frequently, the best way to go is to have someone add you as a secondary driver on their insurance policy if that’s an option for you. Insurance groups are ranked from 1-50 with 1 being the least expensive and 50 being the most expensive. Therefore, cars from group 1 will be the cheapest to insure. In many cases yes. However, it depends on the driver that you’re naming and their driving record. But in many cases adding a named driver will reduce the cost of insurance. Older cars are generally cheaper to insure than younger ones. However, the make and model of the car are much more important than the age. If the classic car is fast and unsafe, then it will be more expensive to insure. You can take advantage of discount programs to make car insurance cheaper for young drivers. Driver’s ed and good grades discounts are both great ways to help lower monthly premiums. Yes, drivers ed will lower the cost of insurance. People that take a driver’s ed program are statistically less likely to be in crashes and file claims. Therefore, they get a cheaper rate. Adding the teenage driver as a secondary driver on your car is the best way to insure them cheaply. They’ll benefit from your driving record and from lower rates by being listed as only an occasional driver. Depending on your insurance company and the laws in your state, you can save as much as 10% on the costs of insurance by taking driver’s ed. Insurance companies usually have a lot of discount programs to help lower the cost of insurance for young drivers. Check to see which of these options your insurance company offers. There are lots of questions new and young drivers have about car insurance. We’ll answer questions that don’t fit into our other categories in this section. Both usually. Car insurance covers the car in the instances of occasional lending with permission, and it usually covers the driver if they’re borrowing someone else’s car or renting a car. An excluded driver is someone you explicitly remove from your insurance coverage. If that person uses your car with or without your permission, then they won’t be covered. You can, but you’ll likely have to use a high-risk insurer. This will probably cost more than you’re used to paying for car insurance, but it’s better than not being insured. There are insurance companies in each state that specialize in high-risk drivers. Your state DMV or department of insurance should be able to help you locate one that works in your state. Yes, you can be the primary driver on two different insurance policies on two different cars. However, insurance companies generally have clauses that void coverage if you’re insuring one car with two different companies. Usually. If someone is borrowing your car and isn’t a regular driver, then they’ll be covered under your insurance. However, everyone who has regular access to a car or drives a car regularly needs to be covered. You need to list all primary and secondary drivers on your insurance. The primary driver is the person that will be using the car the most. Secondary drivers use the car sometimes. However, you don’t need to list occasional drivers on your insurance so long as they don’t use the car frequently. A deferred driver is someone that’s listed on your policy but doesn’t use your car regularly. These drivers can usually be added at no additional cost to your monthly premiums. No, car insurance won’t cover unlicensed drivers. That’s why you should never give someone without a license permission to drive your car. That depends on many different factors. You may be covered, depending on your insurance. Most insurance companies have special conditions in their policies for just this situation. That depends on your specific auto insurance policy. Some companies have no limit on the number of named drivers, while others will limit the number of named drivers to 6. This limit can also differ from state to state.